Silver Plum is one of three eye shadows released by Clarins for spring 2016 in their cream-to-powder eye shadow range. Unlike the colors previously released in the cream-to-powder range, the new colors (Silver Plum as well as Silver Pink and Silver Ivory) are labeled as "Iridescent ". And similarly, it's somewhat of a misnomer. 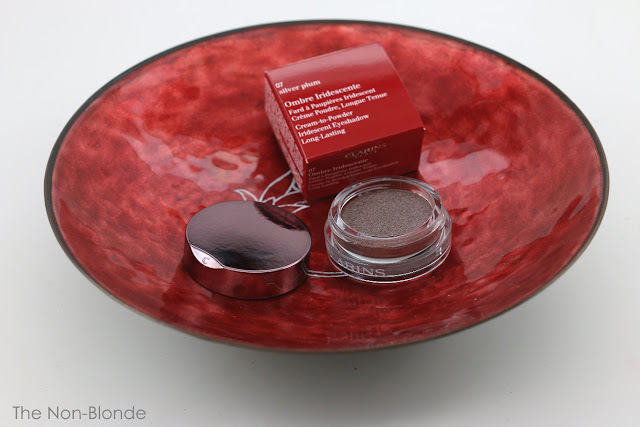 Silver Plum has a muted, brushed metal finish that is very flattering on the lid without being shiny. It's a beautiful color on the taupe spectrum that requires little effort and few companions to create a full elegant eye look. 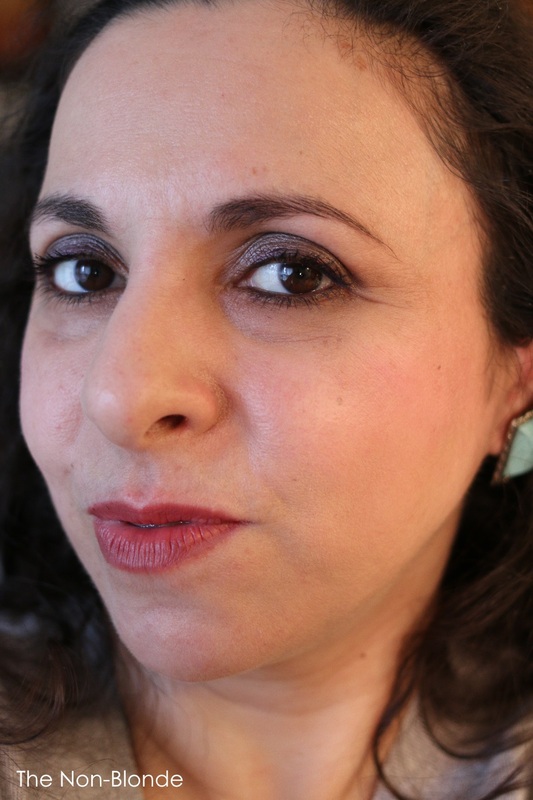 Bellow you'll see how I used Silver Plum in a spring-inspired (ish) easy makeup look. The texture of Clarins Silver Plum Ombre Iridescent Cream-to-Powder Eye Shadow is dryer and denser than the fluffy Tom Ford cream eye shadows, but it's creamier than the innovative Kevyn Aucoin Pigment Primatif that's an elastic putty. Testure-wise it's exactly what the label says: a cream-to-powder eye shadow with a subtle sheen., I mostly apply it with my fingers, and buff the edges with a blending brush, either natural or synthetic. I find that a primer is necessary for a full-day longevity, as well as to keep the integrity of the finish. There's minimal fading by the end of the day, that varies according to amount used and blending. Bottom Line: irresistible, and not just for weirdo taupe fiends. Clarins Silver Plum Ombre Iridescent Cream-to-Powder Eye Shadow ($25) is available from Macy's and most other department stores. I left stuff out all over the place until I got back home and had the time to take notes of what I've used .Then the mess made me twitch. Now, here's the casual look I created for Sunday antiquing. The weather was balmy for February (I suspect that what little winter we had this year has given up), and I had light colors on my mind, even if I had no intention to go full-on pastels. I did wear a pink t-shirt under my gray v-neck, so that has to count, as well as the aqua-colored earrings. And I kept things soft and almost minimal (Husband note: it doesn't take any less time to go on). Make Up For Ever Step 1 Hydrating Primer (from a Sephora deluse sample. I like it). Giorgio Armani Maestro Glow foundation in 5.5 applied with Artis brush Oval 8 (PR sample). It was my first time using the brush and while it'll take more time and testing with other foundations, I can tell you that I like it very very much. Clinique Airbrush Concealer (medium 02). I have little to hide and the light texture was exactly right. Laura Merceir powders: both Secret Brightening and the Invisible Pressed Setting Powder. The latter is so fine and delicate that I keep cracking it. It's definitely not one to carry on the go, but I do love the finish it gives. MAC Copperplate blended in the crease to add a bit of depth. 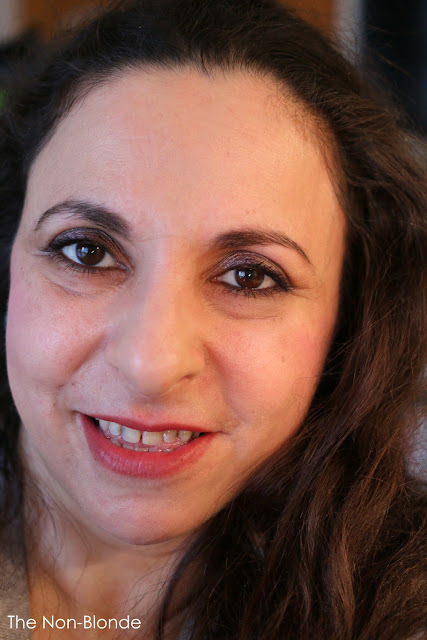 YSL Dessin du Regard Waterproof Eye Pencil, an old favorite. The color I used, #5 Simmering Burgundy, appears to be discontinued or at least out of stock everywhere (I bought it right before the holidays at Sephora), but you can use any soft brown or aubergine color. My aim was to avoid harshness, and I love the waterproof YSL formula (which is why I tend to keep several colors around at all time). YSL Shocking Mascara (black). From one of many samples I have around. I forgot that I'm not impressed with this particular one, which is why I've never repurchased. Benefit Posietint liquid blush (I actually bought the full size at some point because it's that nice), plus their new Dandelion Shy Beam Matte Highlighter. I'm still not sure how I feel about shy Beam, but in combination with the easygoing girly Posietint I had a very natural light flush that was barely highlighted and utterly suitable for a Sunday afternoon at the antique center and at the diner. Anastasia Brow Definer in medium-brown. Review coming soon. 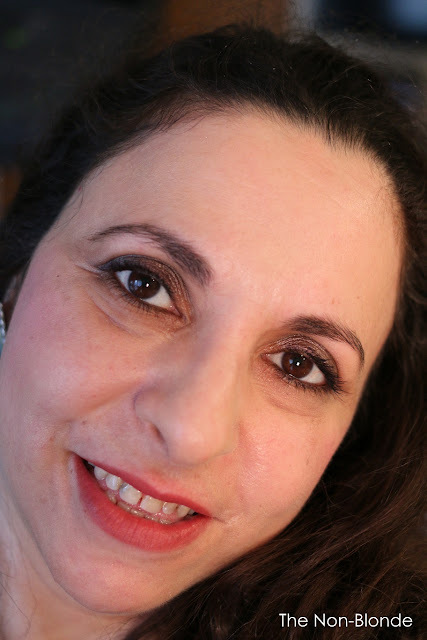 Charlotte Tilbury Bond Girl lipstick plus Pillow Talk lip liner. SotD: Manuel Canovas Ballade Verde. oh goodness! That is a total one & done eye shadow! It looks wonderful on you, Gaia. Thank you :) When getting ready to go antiquing I'm always asking myself if I should go for a grungy look that won't make anyone think they can squeeze more money out of me, or look all business and dangerous. I end up just doing my thing with whatever colors and products I'm testing. The lipstick and liner are a want! You look lovely overall, and I hope you found some treasures. Gorgeous! 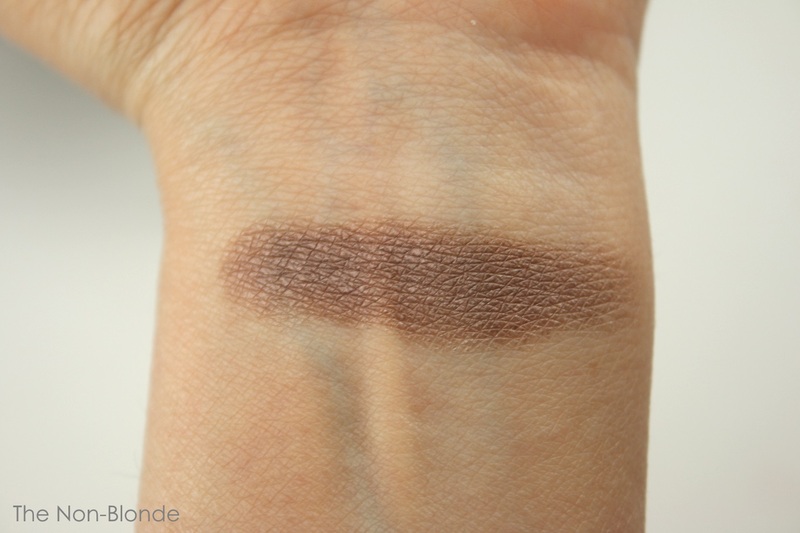 Plummy taupes are among my favourite shades, and the whole makeup is beautiful. Thank you. Your eyes are blue, right? Anything plummy must look spectacular on you. They were blue, when I was very little, but later they turned green/hazel. That makeup look suits you very well. The Silver Plum eyeshadow enhances your eye color beautifully. Thank you! Sometimes silver can clash too much with my skin tone, but I agree that this particular one is a perfect fit. La la la la, covering my eyes! I didn't see this one. Nope, not going to go there. Sigh. I have no willpower. Off to see which online sites carry this color. So pretty. Yup, I'm one of those weird taupe fiends who has to own every taupe out there. Join the club, Tatiana. We wear our taupes as a badge of honor. Thank you, Squirrely! We can never have enough taupes, right? I love the eye makeup. It looks subtly mysterious and mischievous! Thank you. That's probably the best thing about taupe bases. They are incredibly versatile and work both for subtle and sultry looks. What an utterly ideal way to spend a Sunday afternoon. And your eye look is absolutely stunning. Love the Silver Plum. Ballade Verte - what a lovely welcoming scent for the change of seasons. Anna, I recently picked both Ballade Verte and Route Mandarine on eBay for less than $30 each. The line has been discontinued, so bottles end up at the oddest places. Thank you. The color is so complex and pretty it should suit many. 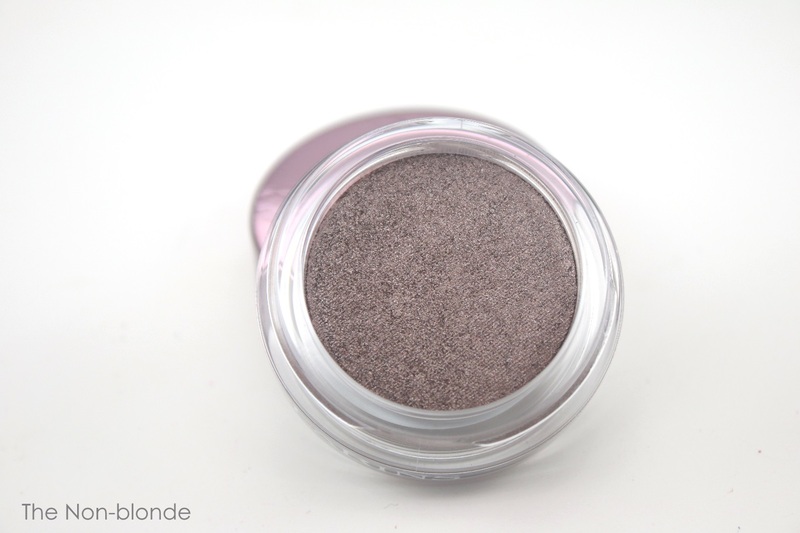 Hildegard, taupe looks fantastic against blue eyes. It's more a question of suiting your skin tone. You don't want it to look bruised (too much purple undertones can do that), or jaundiced (if the taupe leans too warm).